A couple of weeks ago, a skater named Charlie Samuels decided to go in front of the city counsel of the Saratoga Springs city to deliver this discourse… "Don't worry -- I timed this out at a minute and a half. My name is Charlie Samuels, I'm a photographer and skateboarder who lives at 58 Court Street and I, and over 3000 other skateboarders are doing all we can to get the skate "bowl" reopened and specifically -- we are aiming to dig it out before the ground freezes to prevent any possible winter damage occurring to an incredible $30,000.00 exercise facility -- THAT is our immediate goal. Last time I was here Commissioner Franck agreed and lived up to his word by meeting me for coffee and he told me a bit about how things work here. Then I was able to meet with Marilyn Rivers and she invited me to make a presentation at this Thursday morning's Safety meeting. Thank you to both of you. 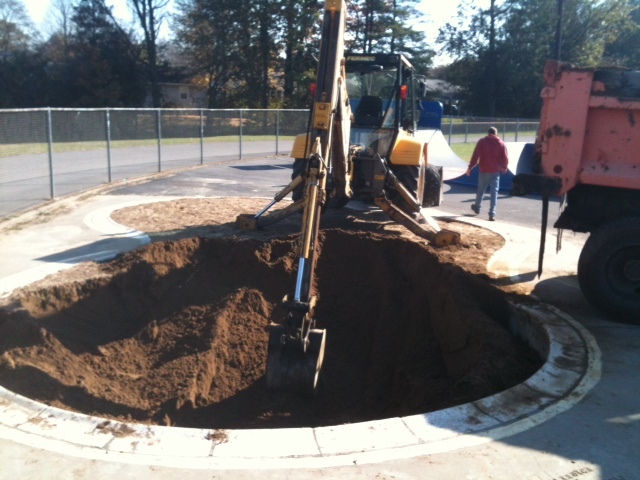 Charlie Samuels, the man who spearheaded the push to get the Spa City's $25,000 concrete bowl open again so skateboarders can do things that would leave the rest of us injured, has confirmed that the bowl is being emptied and that the works should be finished on Saturday. 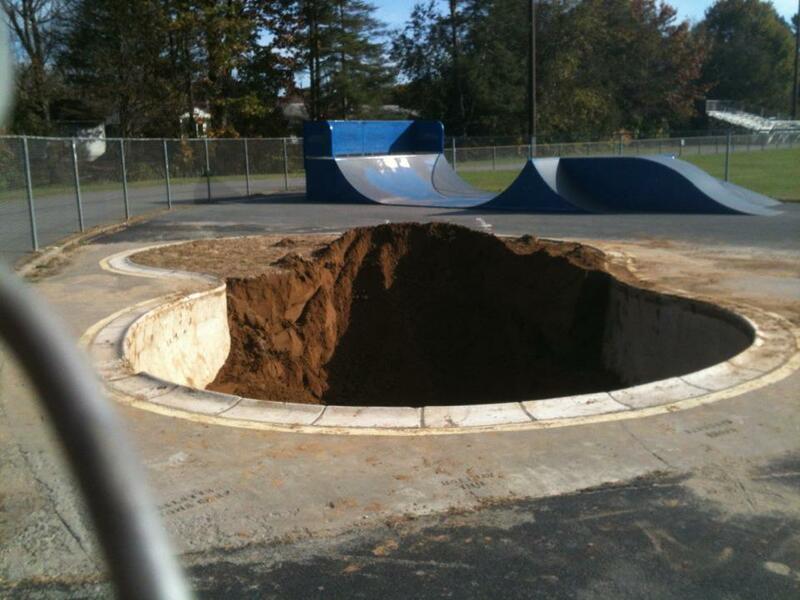 The push to re-open the bowl was aided by a Facebook page called Save the Skatepark that has been buzzing ever since a backhoe broke ground at the site Wednesday.